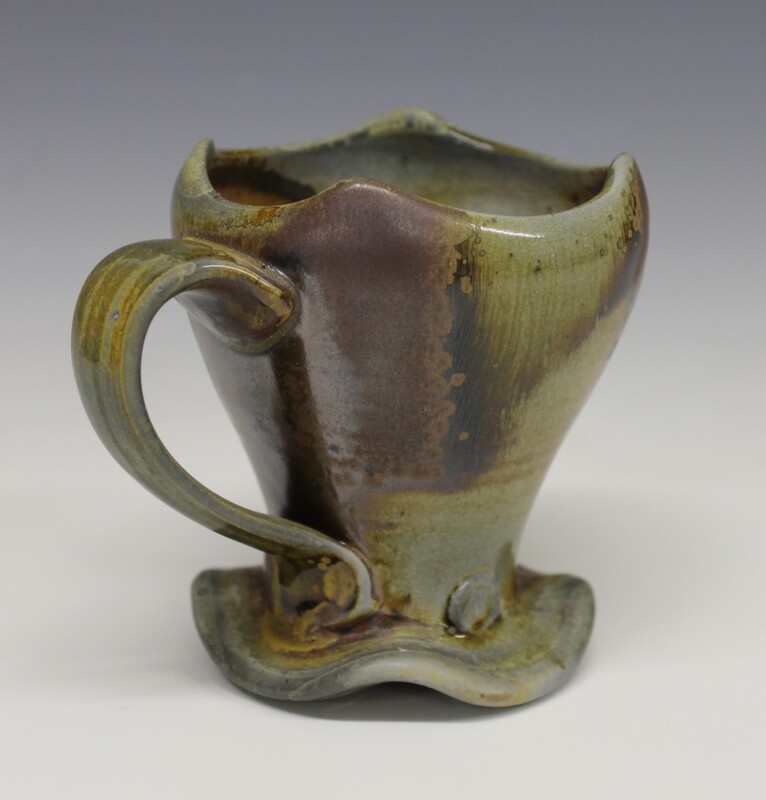 This woodfired mug is one of the new forms I have been working on over the past year. 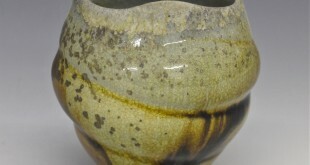 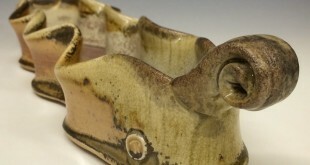 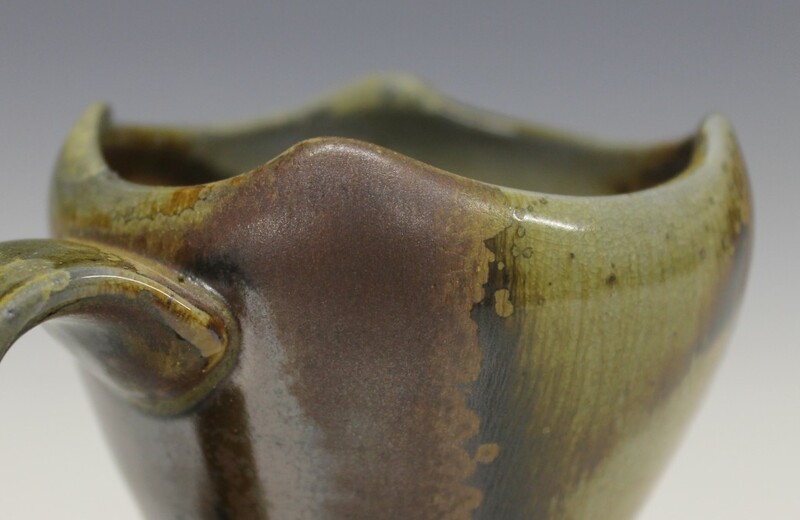 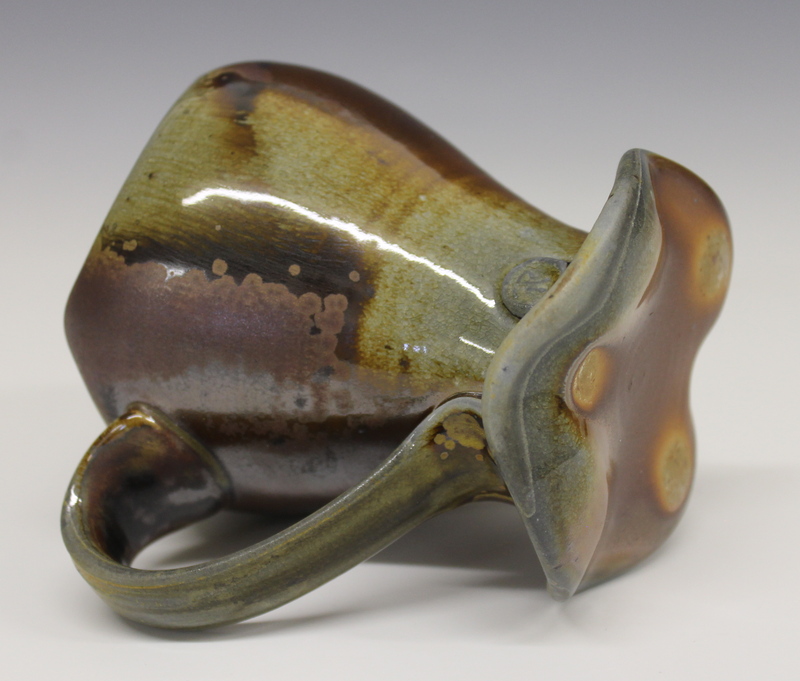 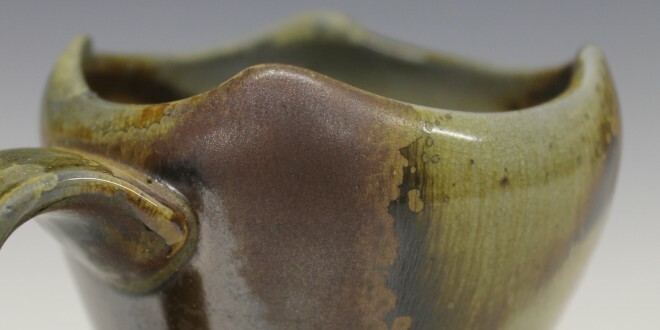 The aggressive altering of the foothelps to mimic the movement of the lip of the mug. 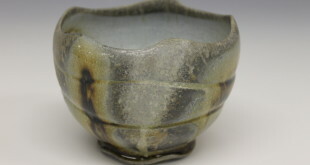 This piece was dipped in a very thin coat of my temoku glaze and fired near the back of the kiln for approximately 60 hours.